Until the 1880s, British travellers to Arabia were for the most part wealthy dilettantes who could fund their travels from private means. With the advent of an Imperial presence in the region, as the British seized power in Egypt, the very nature of travel to the Middle East changed. Suddenly, ordinary men and women found themselves visiting the region as British influence increased. Missionaries, soldiers and spies as well as tourists and explorers started to visit the area, creating an ever bigger supply of writers, and market for their books. In a similar fashion, as the Empire receded in the wake of World War II, so did the whole tradition of Middle East travel writing. In this elegantly crafted book, James Canton examines over one hundred primary sources, from forgotten gems to the classics of T E Lawrence, Thesiger and Philby. He analyses the relationship between Empire and author, showing how the one influenced the other, leading to a vast array of texts that might never have been produced had it not been for the ambitions of Imperial Britain. 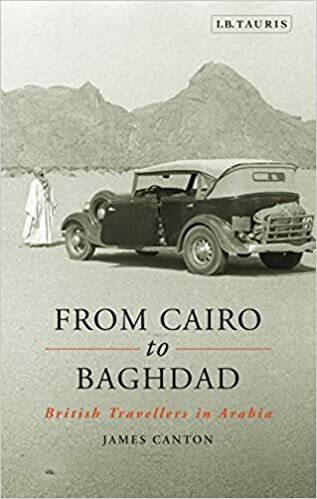 This work makes for essential reading for all of those interested in the literature of Empire, travel writing and the Middle East.